With all of the coverage of Team Raleigh-Clement, some may have missed that another strong Raleigh-sponsored cyclocross team has been doing well at the same regional and UCI-category races. Team American Classic has been led by Robert Marion, a phenomenal racer known for sporting a bushy beard and bright red skinny jeans. The North Carolina native with a Southern drawl is a former college football player that once weighed 260 pounds. Since switching sports, Marion has found a home in professional mountain and cyclocross racing. His fast-track to success even has him considering a trip to the cyclocross motherland – Belgium – for the world cups. 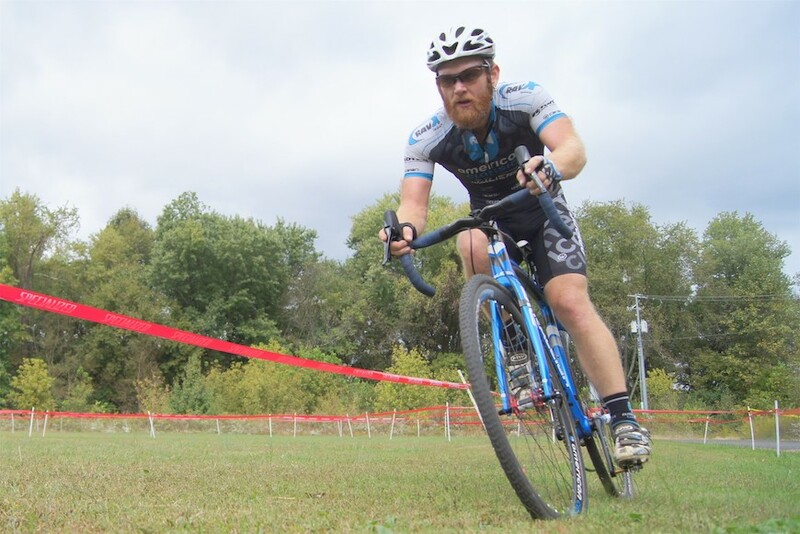 He talked to us about how he only started riding a bike one year before he went pro, mountain biking versus cyclocross racing and how cycling has allowed him to lose over 100 pounds. RALEIGH: How long have you been racing cyclocross? 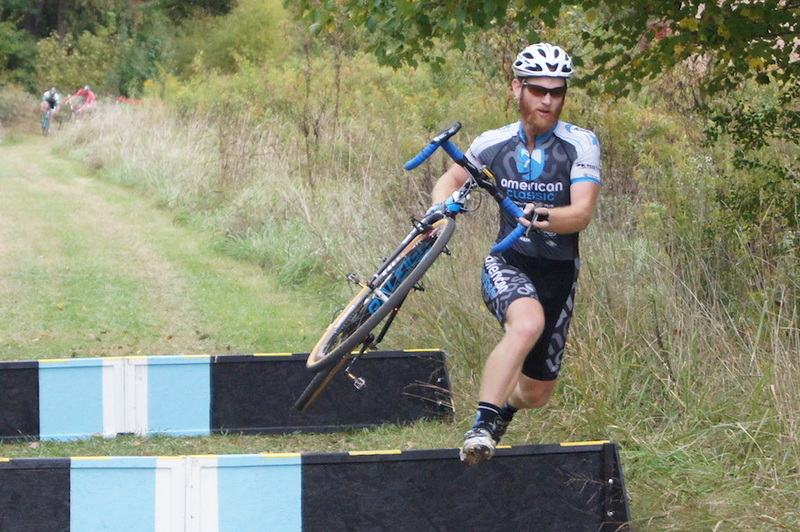 ROBERT MARION: I’ve been racing cyclocross for three seasons. I race mountain bikes professionally and needed something to do for the offseason. I actually always called myself a mountain biker that did ‘cross in the offseason, but now I think of myself as a cyclocross racer. RALEIGH: Why did you start cyclocross? RM: People can ride all winter and be happy with that. But I like the constant competition. It drives me to get better. It also makes it easier for me to continue eating the right things. I don’t want to gain weight and have to lose it. I didn’t get on my first bike until 2004. Prior to then, I was 260-pound offensive lineman for Guilford College. I was 5-foot 11-inches and 260 pounds. Today I’ve lost 115 pounds and am now weighing in at 145. RALEIGH: How has your season gone so far? RM: It’s the best cyclocross season for me, to date. I had one or two really good races last year, but overall, they were pretty average. This year, I have had a bunch of top 15 results and a handful of top fives! RALEIGH: Why red pants and a long beard? RM: Originally, the beard started for training. I’ve always been a real clean-cut kind of guy. But, it was wintertime and I was doing a lot of road training. Turns out, it was warmer with a beard and I didn’t need a balaclava for my face! As it got longer, I got faster. Then it got even longer and I had a couple of really good events. It’s funny; you look around and you don’t see many other UCI cyclocrossers that can grow a real beard. I also don’t shave my legs. I’m not a roadie. Real men have hair! I try to keep the beard neat, but full and bushy. And the red pants? They’re just kind of a joke. I lost more weight this season, so I had to buy new jeans. I saw these and I immediately thought they were ridiculous. I wore them at the Gateway Cup and had two of my season’s best results. At that point, the beard and the jeans became a package. RELATED: Watch Robert talk about the luck of the skinny jeans on CyclingDirt. RALEIGH: Have you always wanted to be a professional bike racer? RM: I never knew there was such a thing until 2004! At that point, I had a Walmart bike and I broke it when I took it on a mountain bike trail. I went to a bike store to get a new one. Who knew they had stores just for bicycles? Here in North Carolina, we’re in the heart of NASCAR country. I grew up racing Go Karts and then raced dirt-track cars. I’ve always been competitive by nature; I played baseball, football and basketball. I just liked beating people. I also always had a knack for mechanical knowledge. Bike racing brought all of that together. Ultimately though, it comes down to your ability and how much you put in to the sport. With cycling, if you work hard and long enough, good things will come.